We recommend the following Routers as a Good, Better, and Best solution. 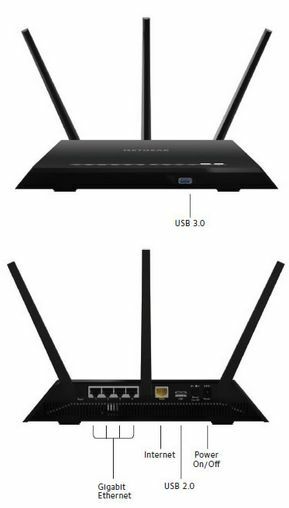 The routers listed below are sold with the the Tomato or DD-WRT, Open Source Linux Software installed, configured, and Implemented to meet the needs of your network. There is a big difference between simply buying a great router at a store to set up yourself, and having someone who knows what they are doing implement a router to take advantage of all its features to meet your needs. We have many years of experience programming, setting up, and implementing routers. The routers we sell come with that experience as we intend to install them for you as a solution. Please read our Blog Article about Intelligent Routers. We understand that downtime is expensive to your business and disruptive to your operation. Give us a call so that we may get started right away and evaluate what is needed to get you back up and running. We have the technical skills and experience to think on our feet and decide what resources we can pull together in order to get you operational as quickly as possible. Your computer network is the most used, most relied upon, most critical asset for running your business..... but it is probably the least appreciated. There are two types of computer networks in business today. Those that were designed and installed well by competent professionals, and those that were not. Most likely your network falls into the second category because you are looking for help and reading this! Most networks that we encounter are a product of evolution. When you first set up a network, it was a simple matter of running some wire around from computer to computer until the lights started blinking. You either installed your first network yourself, or gave a deserving kid an opportunity to earn some money and gain experience while on summer vacation. Maybe it was your own kid or relative and nobody wants to criticize their work. It all seemed simple enough, but then you started adding more computers and eventually a server to share files. You added Internet and maybe some multi-user software, printers, and other devices. At some point, you added a wireless router so that your employees could use their laptops, smartphones, and tablets. Somehow it all magically worked,,,, until it didn't! This was all great until things started slowing down. Strange error messages started appearing on your screens, and some computers could not get reliably connected. Data got corrupted and you started having some real problems. You can see from the variety of types and colors of network cable lying around that different people have come through and expanded or repaired your network, spendng no more than what it takes to get by. You lost track of what goes where and what is actually being used. Employees come and go and nobody today really knows exactly what you have or understands how it all works, nor do they care. Eventually something breaks and you find out that the company, or individual who installed your network is out of business, or grew up and moved on. Now you have a mess and you want someone to come in and straighten it all out. Yes, we have seen it all before. It is time for a new network, this time professionally installed! This is our most popular router for home. home/office, and small business. This feature-rich router stands out amongst other small business routers in terms of raw power. This capable little router can handle dozens of both wired and wireless users. This is Version 2 of this highly reliable router that has served our customers well for many years. We have installed and maintain many of these and it is our standard router of choice. Besides the cost of the router, the price includes up to two hours of installation services, which is usually enough to get the job done. After listening to your networking requirements, we will configure this router and ship it to you. We can set up and maintain this router remotely. This router is a major advancement in the raw power you would expect to find in a router. Designed to satisfy the most demanding audiance "gamers", this router is equiped to blow everything else away. Not long ago a router with this level of power would cost many thousands of dollars. Even though is is primairally designed to satisfy gamers, this router will handle the processing needs of the most demanding business networks with ease. As you make more and more use of the advanced features of the Tomato Router software, the need for processing power and speed increases. This is especially true as Internet connections become faster and faster. 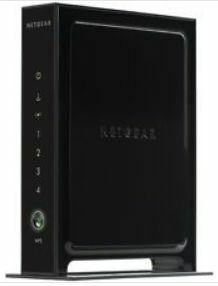 The Netgear R7000 router is able to process a constant high of volume data quickly. The fast processor makes intelligent decisions to keep your network safe. We know how to put the additional memory and processing power of of the "Nighthawk" to good use. These advanced features include International Firewall Rules, and being able to work with our Network Monitoring Server to detect and stop threats with our Active Firewall. This is one of the first routers on the market with a USB 3.0 Port. USB 3.0 is five times faster than the USB 2.0 port on the Netgear WNR3500. We make good use of this USB 3.0 port by installing OptWare on a thumb drive to expand number and size of modules that can be used. Now we have plenty of high speed storage capacity to keep things like lists of thousands of IP address for firewall filtering rules. Features include: Powerful Dual Core 1GZ Processor, 128 MB flash and 256 RAM Memory, 4-Port 1GHZ Ethernet Switch, USB 2.0 Port and USB 3.0 Port, and a really powerful wireless capability! Besides the cost of the router, our price includes up to two hours of installation services. After listening to your networking requirements, we will configure this router and ship it to you and continue to work with you until the router is fully implemented. We can set up and maintain this router remotely. This router represents the latest in cutting edge wireless technology. Building on the power of the R7000 Nightgawk, this router is capable of handling a large number of high speed wireless devices. Even though is is primairally designed to satisfy Gamers, this router will handle the processing needs of the most demanding business networks. If you depend heavily on wireless networking, then this is your best choice. The speed of the wireless can acctually exceed the speed of wired gigabit ethernet connections with the fastest WiFi speed available – up to 3.2Gbps. As we make more and more use of the advanced features of highly programmable, open source DDW-WRT and Tomato software it is nice to know that the raw processing power we need is available. Dealing with hackers and other security issues requires all the power we can get to make intelligent decisions, tens of thousands of them for each piece of data, to keep your network safe. The additional memory and processing power of this of the "Nighthawk" is put to good use. These advanced features include International Firewall Rules, and being able to work with our Network Monitoring Server to detect and stop threats by sending updates to our customized Active Firewall. This is one of the first routers on the market with a USB 3.0 Port. USB 3.0 is five times faster than the USB 2.0 port on the Netgear WNR3500. We make good use of this USB 3.0 port by installing OptWare on a thumb drive to expand number and size of modules that can be used. Now we have plenty of high speed storage capacity to keep things like storing lists of thousands of IP address for firewall filtering rules. 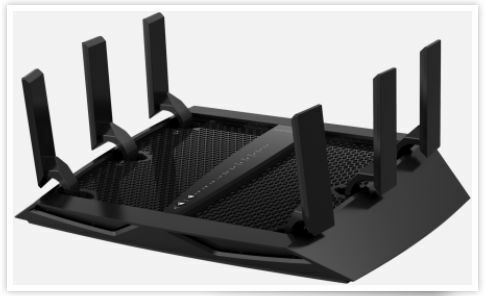 The Tri-Band WiFi feature along with the Three Offload Processers dedicated to controlling wireless connectivity is really what sets this router ahead of the Netgear R7000 Righthawk. The wireless is so fast, it is actually faster than traditional 1GHZ wired connections. This is something that turns the world of wired networking upside down and sends equipment makers scrambling to come up with affrodable 10GB Ethernet solutions. It is truely an advancement in technology. Features include: One Dual Core 1GZ Processor and Three Offload Processors, 128 MB flash and 256 RAM Memory, 4-Port 1GHZ Ethernet Switch, USB 2.0 Port and USB 3.0 Port, and Tri-Band WiFi! Besides the cost of the router, the price includes up to two hours of installation services. After listening to your networking requirements, we will configure this router and ship it to you. We can set up and maintain this router remotely. Note: Tomato is not yet available for the Netgear R8000 Nighthawk. We expect that it will be available before long as the Tomato developers work with the new drivers for the advanced wireless features. Until then, we use a program called DD-WRT which is also Linux based and just as capable as Tomato. We have many years of experience successfully installing networks for small and medium sized business all over Central Indiana. Typically a network install is the beginning of a long relationship with our customers. We take the care and time to plan and do the job right. We do not compromise quality on something that will wind up being so critical to the running of your business. We stick to well established wiring and installation standards and follow best practices, which will make your network reliable and easy to expand and maintain in the future. The last thing we want is for a poorly installed network to come back and haunt us. We know how to deal with Security Related Emergencies. Has your system been hacked? Is your Internet connection under attack? Are your computers infected with a fast spreading virus? Has someone taken over your server? Do you need your system secured after an employee change? These are all issues that we have dealt with in the past and know how to get under control. We have the tools and experience necessary to figure out what is going on and find a solution. We will repair the damages, find the source of the problem, and implement preventions to secure your systems. Once the problem is identified, we can quickly get the resources you need. We consider all the resources available to us whether it be placing a temporary server, offloading services to our own network, or knowing where to quickly obtain a critical replacement part. We do whatever it takes to get you operational as quickly as possible. An example of this is a customer who runs QuickBooks Enterprise on their server that crashed. In order to buy time to build a new server, we installed their QuickBooks on one of our servers for the customer to access remotely. Once the new server is up and running, the QuickBooks and Data were transferred to the new or repaired server. We have loaner Servers, Switches, Routers, Hard Drives, and pretty much anything else to get your system back up and running so your business will not suffer. We have the skills and tools to find and correct problems on your network. We have the ability to perform a full analysis of your network and find out what is going on. We can find and correct connection problems due to bad cable, connectors, or electrical interfearance. We analyze your network traffic to abnormalities, traffic restrictions, or signs of virus activity. We make sure your network is secure from attackers and hackers and that your corporate and customer data is protected. We often implement QOS or Quality of Service Policies to make sure that your Internet connection is shared in a way that nobody can hog all the Internet bandwidth. We monitor your network remotely and are alerted whenever a problem arises. Your network may not be limited to just one location. We have experience installing Point to Point networks on Dedicated T-1 Lines or Virtual Private Networks. We can bridge multiple locations and make them all work together. We understand how to set up routers and efficiently direct traffic to where it needs to go. We know how to set up Terminal Services and make your applications accessible over the Internet. Your network may no longer be Local at all. We can help you expand beyond your single location. Give us a call so we may meet and discuss your networking needs. We are professionals who understand what it takes to build and maintain reliable networks. We have experience building and maintaining reliable networks. We understand that nothing is more critical to the operation of your business so we do not compromise on quality. When we are finished, you can concentrate on running your business rather than fighting computer and network problems.